This week, we have Drum & Bass icon Concord Dawn on as a guest on the show. Concord Dawn currently consists of producer Matt Harvey hailing from New Zealand. Concord Dawn released their debut album in 2000, reaching massive success worldwide. After touring the album throughout New Zealand they released their second album Disturbance in April 2001 and received "Best Electronic Album" and "Best Independent Release" at the 2001 bNet Music Awards. Following this they started working on their third album: Uprising. Tracks like "Morning Light" and "Don’t Tell Me" found very high international acclaim well before the album’s release. Uprising was released in New Zealand in September 2003 and reached gold sales status in three months, going on to eventually reach platinum sales in New Zealand. Concord Dawn have become established internationally and their catalogue is distributed worldwide. They went off on a world tour, traveling through the United States, Canada, Europe, Asia and Australia. At the 2003 bNet music awards "Morning Light" won "Best Song" and "Most Radio Play". At the 2004 bNet music awards Uprising received "Best Album" and "Best Electronic Release". Concord Dawn were nominated for "Best Electronic Act" at the 2004 New Zealand music awards. 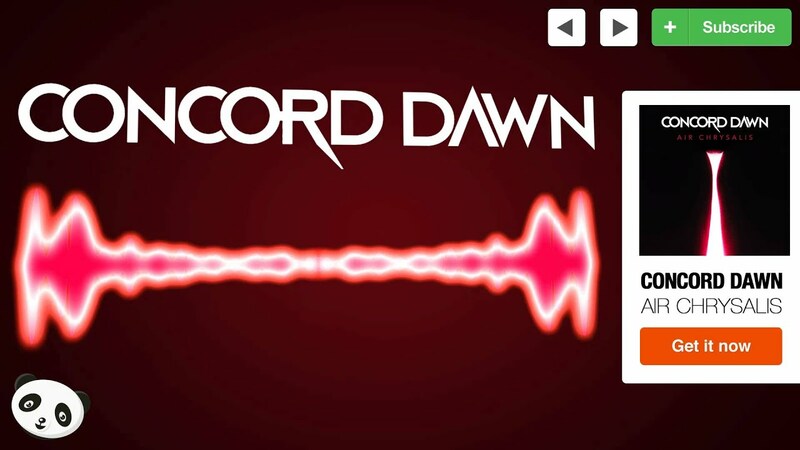 Concord Dawn now only features member Matt Harvey, Evan Short left the group for reasons unknown. Following after his departure was "The Enemy Within LP" in 2010. The first solo Concord Dawn EP entitled "The Race To Zero EP" was released in 2011. (also titled "The Race To Zero Volume 1" on 5 September 2011. The "Wipeout EP" featuring New Zealand's TREi was released in early 2012 and in late 2012, Concord Dawn releases the Air Chrysalis LP, released for free via the artists Facebook and SoundCloud pages, which won "Best Electronica LP' at the 2012 RIANZ New Zealand Music Awards.